We were delighted when Bolton Abbey invited us to offer VIP hospitality at the Katherine Jenkins concert. This would be the first event of this scale at Bolton Abbey, so we were thrilled to be involved. 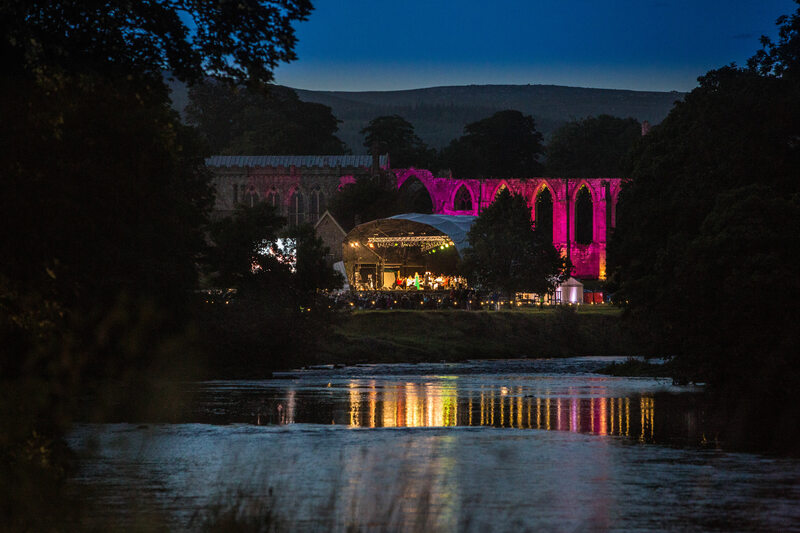 In the wake of the Katherine Jenkins concert at Bolton Abbey on the 10th of September, I thought it fitting to honour this spectacular event with a blog post. We invested a lot of time planning the finer details of this event, firstly because that’s what we do at Dine and secondly because we wanted to do a great job for Katie Collins, who was taking a big risk by organising the FIRST EVER concert at Bolton Abbey. It was paramount that the hospitality match the exceptional calibre of this setting. Discussions started in early June 2016, where Dan Gill (Dine Founder & CEO) ran through the initial objectives for the concert hospitality. A site visit took place in July 2016, to agree logistics, access and positioning of the marquee. 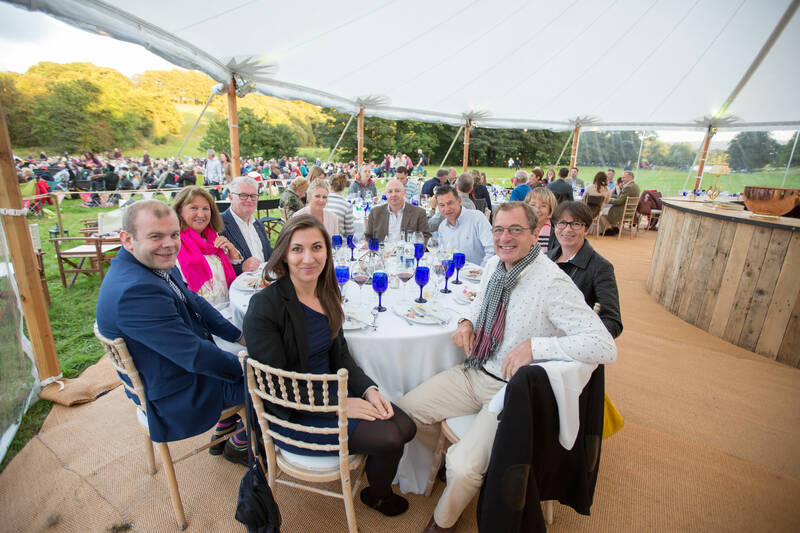 The Dine offering was split into two segments: offering heavenly VIP hospitality in a marquee for up to 50 guests; and picnic hampers which were made available for pre-order and collection on the day of the concert to any guest that had bought tickets. Both Dine and Bolton Abbey promoted the hospitality offering on our websites and we (Dine) handled the hamper orders and VIP guest bookings. The magnificent Shades Aurora Sailcloth Marquee had been erected on the Thursday prior to the event, set-up began on the Friday and continued when I arrived on the morning of the event (Saturday 10th September 2016). On arrival, we knew it was going to be a wonderful day – the weather was fine and the outlook from the marquee was simply breath-taking. To the left, was a view of the abbey itself, the central view was of the stage and sweeping around to the right was the river Wharfe. It occurred to me as I was admiring the view, how fortunate were to be able to offer private parties and weddings at this remarkable location. Tables were laid with crisp white linen, navy blue glass wear and polished cutlery. We arranged a variety of micro herbs and edible flowers in terrariums for the centre pieces and scattered tea lights around the tables, inside and out on the tables in the garden area. Weather permitting, we wanted to encourage our guests to retire to the garden after dinner to enjoy coffee and wine whilst enjoying Katherine Jenkins’ fantastic performance. 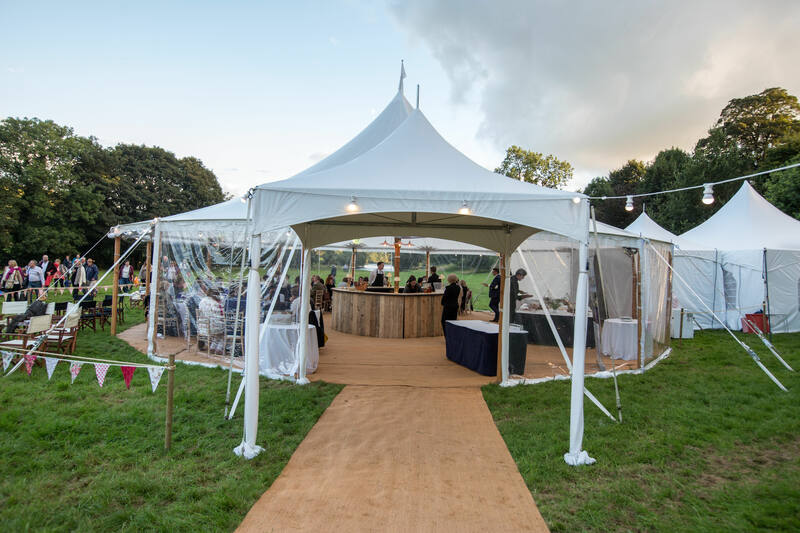 After adding the final touches whilst listening to the orchestra and Katherine Jenkins herself warm up, we started welcoming guests into the marquee at 5:30pm. Drinks and canapés were served on arrival and guests were seated for dinner just before 6pm. For starter we served a smoked salmon terrine with herb leaf salad dressed with lemon and shallot vinaigrette. The guests were then invited up to the buffet, where they could choose from a selection of cold meats including: roast rib eye roll of Yorkshire beef, chargrilled chicken and sugar baked ham; the vegetarian option was caramelised onion tartlet. Hot new potatoes dressed with parmesan butter and micro basil, tomato and feta salad with black olives, warm bread rolls and mixed leaf summer salad were served to accompany the selection of cold meats. Brûléed lemon tart was then served to the tables, followed by coffee and handmade Lauden chocolates. Guests then moved to the garden we had created with a seating area, where they could sit and enjoy the concert in style. The evening was wrapped up beautifully with a grand finale of fireworks. With aching feet and big smiles on our faces, we left at around 11:30pm, after clearing down and packing up the van… we had delivered yet another event with the Dine difference!